There are many myths about computer viruses and most of them revolve around Malware. Those of us who use computers are familiar with the concepts associated with Malware, but may not be sure exactly what’s true and what’s not. Myth or no, it’s in your best interest to learn about computer viruses and what you should do to protect yourself against them. Many people believe that when their computer displays an error message this means that they have a virus. In reality, this could be caused by many other things, such as bugs in the software, an inadequate hard drive, memory issues or a problem with your virus scanner. People also assume that when their computer crashes it’s due to a virus, but this can happen due to something completely unrelated to a virus. 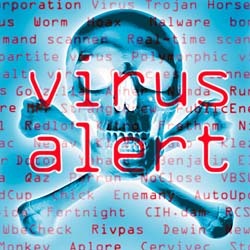 Nevertheless, it’s always a good idea to scan your computer for viruses when error messages or computer crashes occur so you can rule out viruses or Malware as a possible cause. It’s a common belief that firewalls protect computer systems from viruses. For instance, Windows comes with a built-in firewall and many users believe this protect their computer from viruses. In reality, firewalls are used to prevent unwarranted network traffic. They keep your network and computer secure while connected to the network, but they don’t scan for, or prevent computer viruses. So what can you do to protect your computer and cut your chances of infection? Don’t run programs from unknown sources you don’t trust.